A handsome cast bronze plaque. 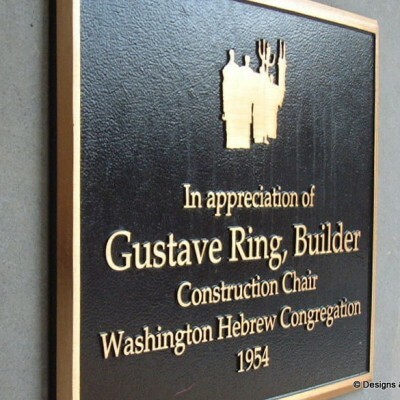 For any memorial or commemoration, cast bronze and cast aluminum make the perfect sign. A sign that will last a lifetime ever in harsh outdoor conditions! 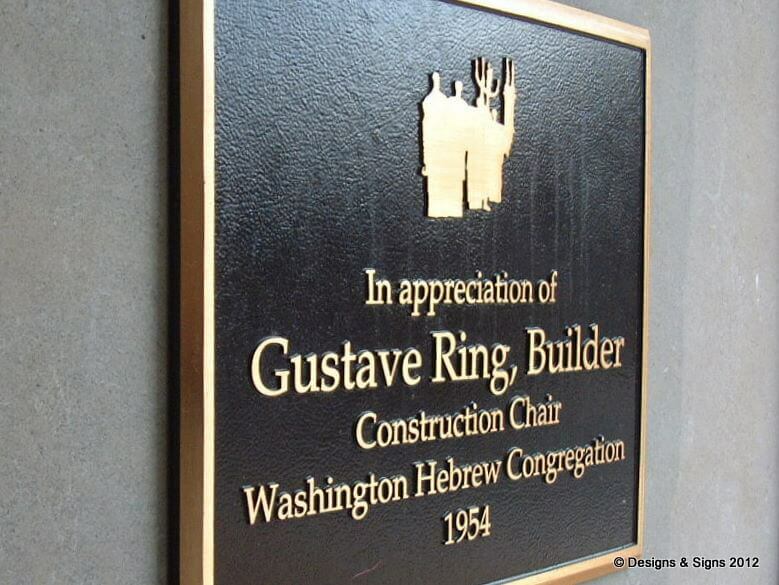 A cast bronze plaque created for Washington Hebrew Congregation in Washington, DC. The plaque has polished letters and bevel trim, the background has leatherette finish. 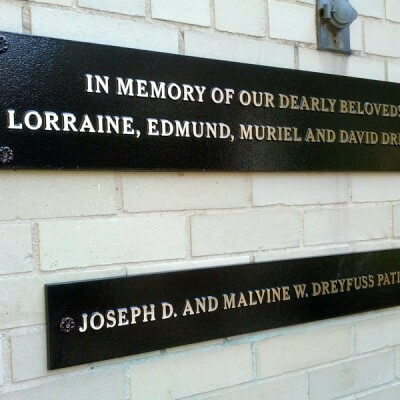 Cast bronze plaques are made to last even in the most harsh outdoor climates. 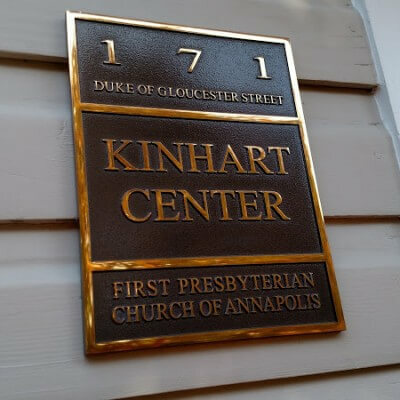 Please take a moment to browse our site, we have photos posted of our cast bronze plaques and other dimensional signage. Please contact us for a quote! Thank you.